When you clients receive a regular real estate email newsletter from you, it keeps your real estate agency top of mind. That’s important, since 88 percent of buyers say they would use their agent again or recommend their agent to others. Those figures are dependent on the buyers’ maintaining a relationship with their realtor, of course, and knowing how to contact you. Email marketing for real estate keeps you in contact with your former clients, so they turn to you when they are ready for their next home. Home buyers aren’t just looking for help finding properties. They want to hire real estate agents they can trust to have the knowledge and professional competence to look out for their interests. When you send clients informative real estate newsletters, it provides a demonstration of your expertise. Your emails help establish you as an industry authority, someone your clients can trust to have current and up-to-date knowledge to negotiate on their behalf. This reinforces an impression of you as a realtor with a wide breadth of knowledge who can protect them through the home buying and selling process. This is critical to building your real estate business. One of the biggest challenges you face as a real estate professional is figuring out how to maintain your relationships with clients without being intrusive. Real estate email marketing provides the ideal solution, since a majority of people across every demographic now prefers email for business communications. Sending out a regular email newsletter gives you a way to maintain active communication with clients without interjecting yourself in a way that feels invasive or pushy. According to the National Association of Realtors’ 2017 report on Home Buyer and Seller Generational Trends, referrals remain the number one way that most home buyers find their real estate agent. Email marketing is a great way to develop the personal relationships that generate real estate referrals. When your clients receive an interesting real estate email newsletter from you, it’s easy for them to share it with friends and relatives who are considering buying a home. When your real estate agency gets an introduction to new clients from a trusted source, the new contacts extend that trust to you. Email remains one of the most cost-effective marketing methods. According to eMarketer, a June 2016 survey found that email had a median ROI of 122%, more than four times higher than other marketing formats, including social media, direct mail, and paid search. That high rate of return on investment can help your real estate business keep marketing costs under control. 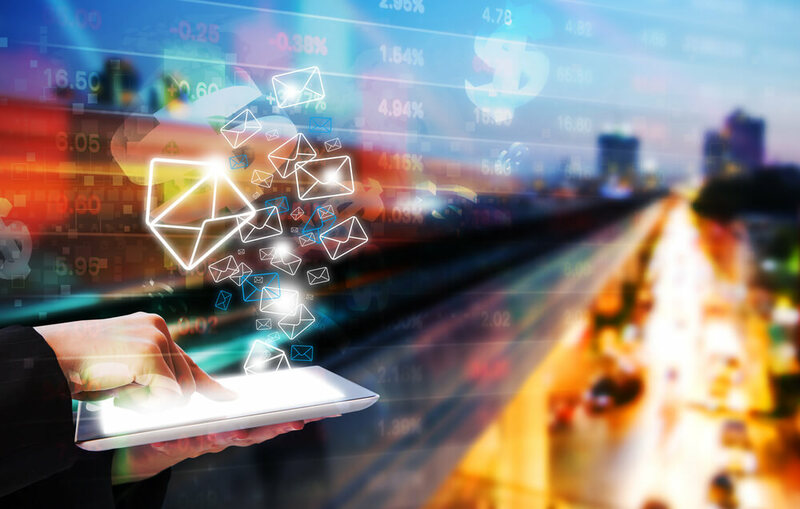 Now that you know how email marketing can help your real estate business, For Sale Marketing can provide you with everything you need to develop a successful real estate email marketing strategy. Our dedicated real estate marketing team provides professional email writing services, responsive real estate website design, social marketing services, branding packages, and much more. Contact us at For Sale Marketing today at 954.866.1115 for more real estate email marketing tips along with full marketing support to ensure your real estate agency’s success!